One of the best places for archery, right in the centre of Vienna. 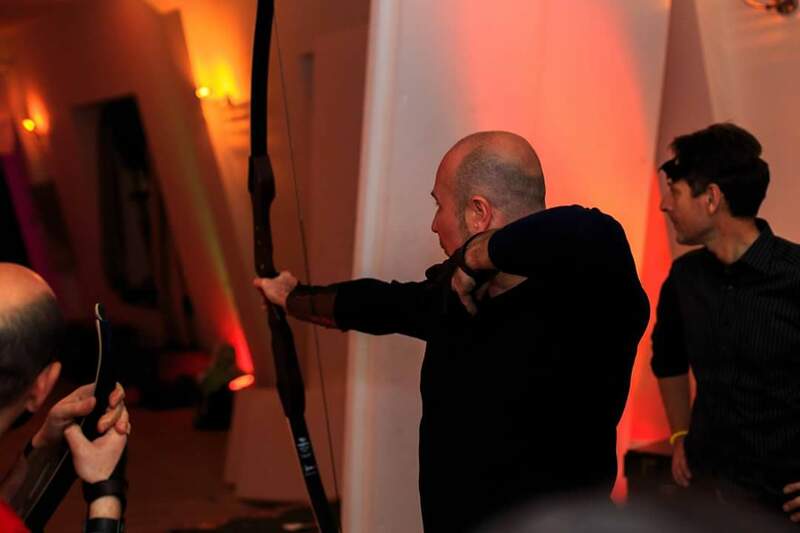 We offer a high-level archery experience - as high as a penthouse. Here you can find a pleasant and relaxing archery atmosphere in the Inner City of Vienna. 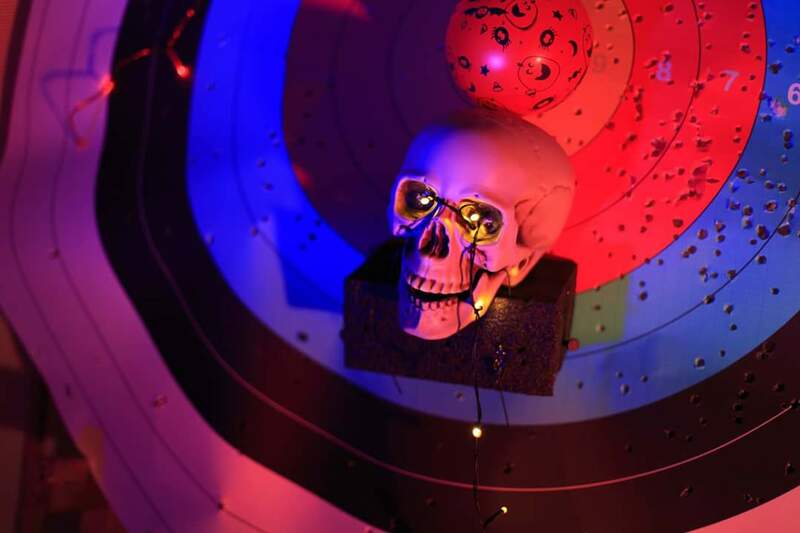 Our targets are at distances of up to 20 meters and 4-5 people can shoot simultaneously. Relax from the shooting sessions and have a chat or a snack with your fellow archers in our ArcheryLounge. We imagine and offer new and exciting experiences on a weekly basis. 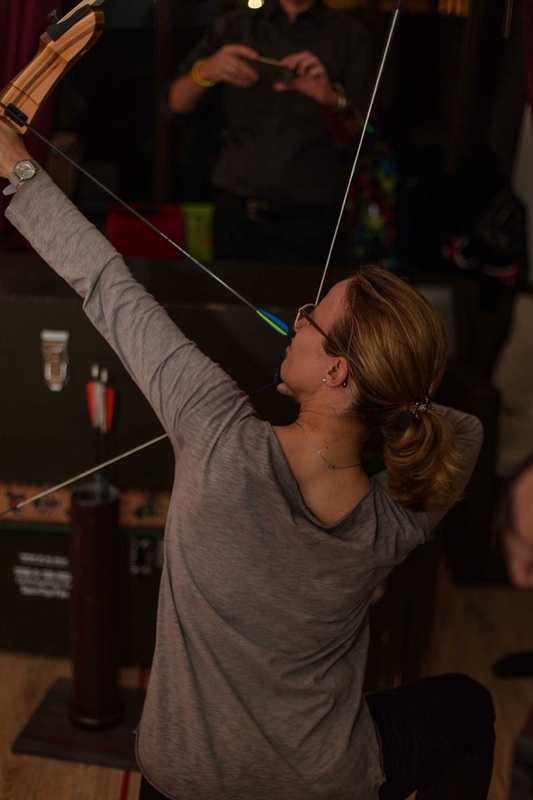 We are a friendly group of archery enthusiasts who meet regularly to have fun together. We are a multicultural group from different nationalities and everybody is welcome to contribute to our good mood and enthusiasm. We care about variation and often invent shooting games, moving targets, cinema, ideas for Parcours and gladly make video projects. The 3D archery is our outdoor passion. This video is our best introduction - just watch it! We are open for all types of projects and can gladly provide our club rooms for trainings, seminars, lectures, presentations, book readings, discussions etc. Seating is available for 30 people. What does it take to be a hero? In the days of yore, when gods walked the earth, the matter was quite simple: slay hordes of monsters, steal troves of treasures, rescue damsels in distress. Modern times require quite a different approach to heroism. Monsters are either endangered species or are actually people who have had enough of whatever was bothering them. Stealing treasures means paying huge taxes… or in one recent incident, becoming president, which is just one step away from villainy. Not to mention that today’s damsels are neither in distress, nor do they wish to be rescued. In fact, it is often them who are doing the rescuing. So how can one be a hero in this day and age? We of Arco Vienna have thought long and hard (ten entire minutes) and based on scientific observation of our own archers have compiled this here Guide to Heroism, the 2017 Safari Edition. feast when the deed is done, the way Morgan did by devouring the greatest portion of schnitzel in the Tonnerhütte. 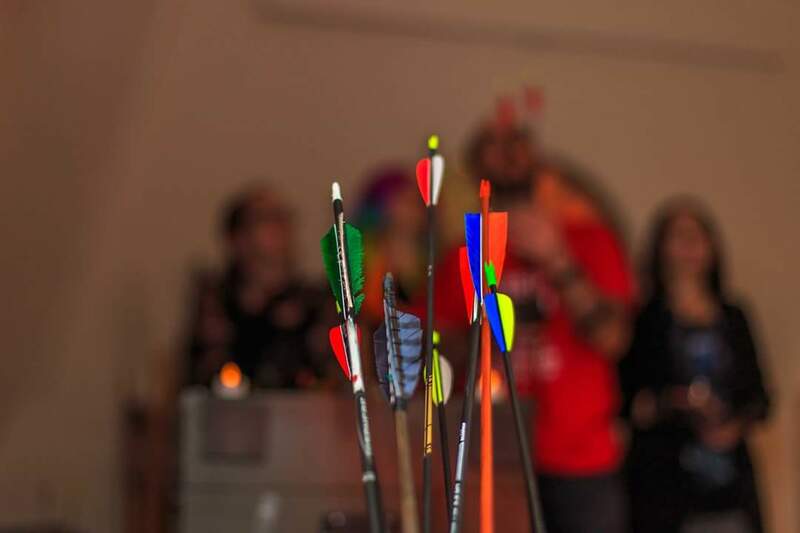 If you think you have got what it takes to be a hero, join us for the 2018 archery safari! Do you want to learn more about your longbow? Would you like to have some secret training before the safari? 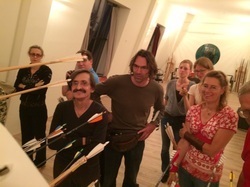 Harald Huber, Secretary of the archery club Bogensportakademie and advisor to the Viennese Archery Association, is conducting a training for longbow archers (and other archers shooting without a bow sight). This training is part of the new cross-club programme of the Viennese Archery Association, where archers from different clubs can train together with cadre archers and benefit from the experience of specialised trainers. Time: Friday, 02.06.2017, from 16:00. Place: Eisring Süd (Stefan-Fadinger-Platz, last station of tramway line 1, also reachable with busses 15A and 65A). If you are interested, contact Harald directly at harald[dot]huber[at]a1.net. 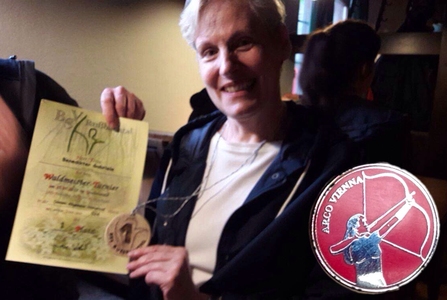 Gabriele Benedikter has achieved 1st place at the Waldmeister tournament in Grafenwald. With her riding bow, she was able to best all other ladies in the History Bows class. Dear Gabriele, for this noble achievement, we would like to award you the Arco Vienna Badge of Honour. You the first archer of our club to receive this distinction. The Arco Vienna Badge of Honour is awarded to club members who have shown an extraordinary archery prowess or have mastered The Vienna Shot. Well, not as drastically as on this five-year old picture, but still! Does anyone have an idea what is happening? Post your answers on our Facebook page! On Saturday, 13.05.2017, we are making a short 3D archery trip to Pillichsdorf. Introduction into 3D-parkours for beginners, as well as some tips for experts. We depart from the Club at 10:00, meeting point 10:30 at the Pillichsdorf parkours (coordinates 48.345901, 16.519520). Who is coming? 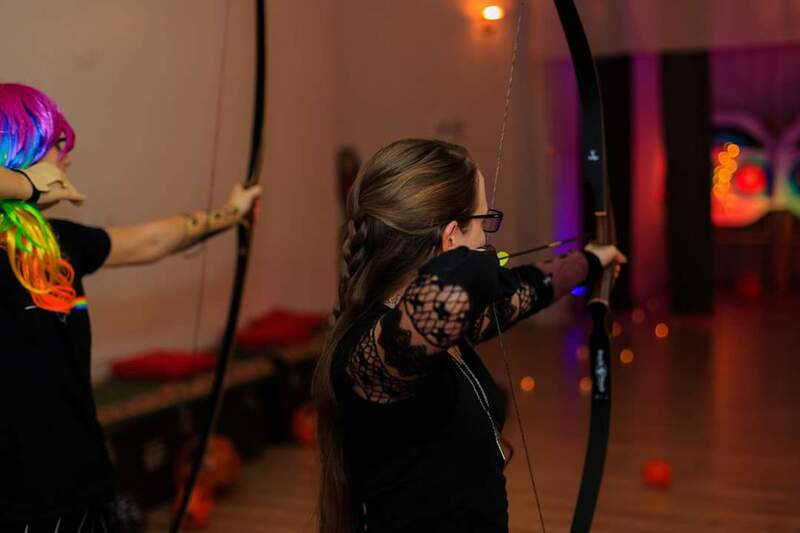 Arco Vienna Club is organising its Fifth Annual Archery Safari, a three-day trip to some of the most amazing parkours in Austria. Discover Austria with bow and arrow in the best of company. This year, from Saturday, June 3rd to Pentecost Monday, June 5th. Save the date! The excitement was palpable yesterday at Arco-Vienna when archers loosed their arrows on pumpkins and skulls. Neither the indoor 3D parkour, nor the Wilhelm Skull shot, nor even the archery film, specially produced for Hallowe'en, could scare our archers from their success. The party continued in a friendly mood, with cake and pleasant conversation until midnight, when everyone flew home on their broomsticks. You can find some photo impressions to the left. A hearty thank you to everyone who celebrated with us! 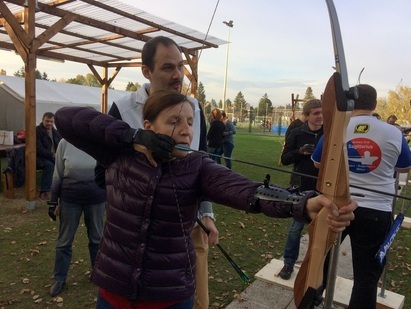 On Friday, the 28.10.2016, Enikö Bodor, together with Roman Till from the Sagittarius archery club, organised a come-and-try event in archery for 12 blind and visually impaired people. They were helped by our Konstantin, who has completed a special training on the topic together with Roman (and Claudio). Peter Stoik, the president of the Vienna archers' association, also took part. 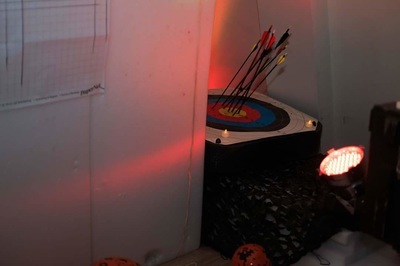 The students' pre-conception that archery is impossible without being able to see was quickly shattered and the enthusiastic archers could successfully hit their targets at a distance of 10 metres. This was sooo much fun, said Konstantin. Archery can work even better when the archer is not distracted by the sight. Heaps of fun paired with good shots! On Monday 31st of Oktober we’ll be throwing a Halloween party with loads of surprises. Legend says that on Samhain, what was later to become All Hallow’s Eve, the veil between the mortal world and the spirit world was at its thinnest, allowing spirits for cross the barrier. Some of these spirits were good and sought their loved ones who offered prayers and songs for them. Others were evil and hunted for human souls. To remain unrecognised, people started dressing like monsters, hoping to evade scrutiny by the eldritch beings. Not. Us. We shall not cower! Oh yes, we shall dress up, just like a hunter dresses in camouflage to better stalk his prey. But instead of being afraid, we shall take our bows and shoot arrows of fire into the night, destroying every evil spirit foolish enough to come through the walls. 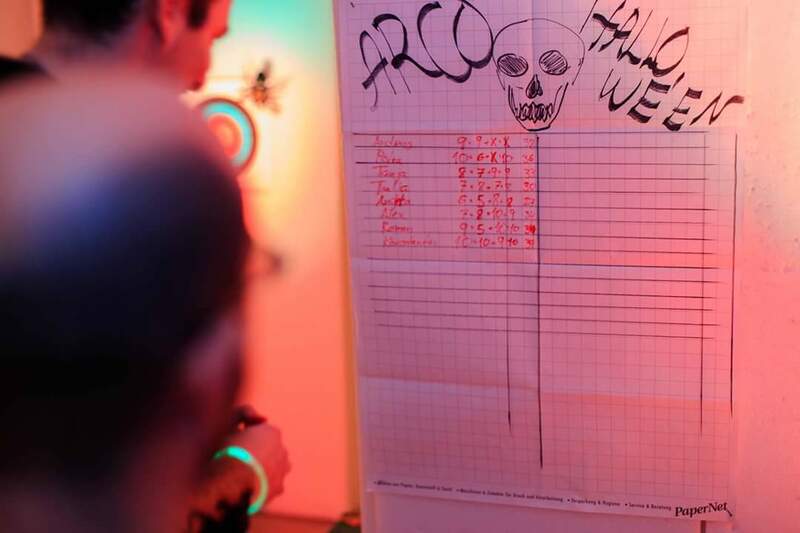 Join us at Arco-Vienna for a night of excitement, laughter and challenge. 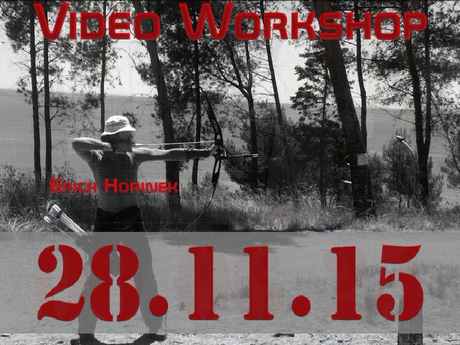 Join us for 3D shooting, Wilhelm Tell challenges and archery cinema. Join us for dress-up, fun and a drink with your favorite archery friends (us). We’d love to see you there, please confirm two days in advance since we’ll be buying stuff to fill our bellies. Autumn came over us quite briskly but that won’t stop us from enjoying our favorite sport! Accompany us on our trip to one of the 3D Parcours around Vienna to experience the joy and freedom of archery in the free nature. 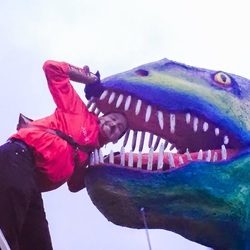 Last week we went on a dinosaur hunt in Yspertal and on Sunday (23rd October) we’re going to Irenental bei Purkersdorf, a parkour particularly suitable for new archers to that kind of archery. We’ll be giving an introduction to everyone who hasn’t been to a parkour yet and rent out gear, both for free. The only costs you’ll have to cover yourself are the parkour fees. Enjoy Mother Nature and test your skill! Please contact us promptly via mail (arco.vienna@gmx.at) if you need a lift to get there. Don’t forget to wear suitable outdoor clothes and good boots and we highly suggest to bring a bite to eat and something to drink with you, since we’ll be roaming around the woods for about 3 hours. The scorching summer heat is receding, the holiday-goers are back, the leaves are taking beautiful colours… all in all, perfect weather for 3D archery. 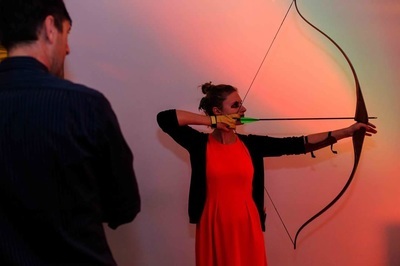 So join Arco-Vienna for a trip into the forest full of excitement, arrows and… dinosaurs. Yes, dinosaurs. Keep reading. Where: We shall visit the beautiful 3D parcours of Yspertal, described by Robert Ertl here (scroll to the bottom of the page). Who: All members of Arco-Vienna, especially those who have not visited a 3D parcours yet. What: You will need a bow and at least six arrows. We have six sets of bows and arrows to lend, first come – first served. You also need shoes with a good grip (no trainers) and possibly a waterproof jacket. A water bottle and something to eat are a good idea. How: We shall travel by car (drivers welcome). Exact travel arrangements will be made when the participants are known. How much: The parcours fee is 8€, which everyone pays by themselves. Arrange fuel costs with your drivers. As usual, we demand no fees and organise this trip for the fun of sharing an adventure with you. That being said, broken or lost arrows cost 7€ each, so aim true! If you want to come, send us a message, an email or just call us. Also let us know if you would need a bow, a ride or maybe can take someone with you. See ya! Dream big! Shoot straight! Aim small! Take part in this year’s World Dragon Shooting Day! The Story: Three years ago, archer and Dungeons & Dragons artist Dennis Kauth succumbed to cancer. His son Wyatt was seven years old at the time. Wyatt had one dream: archers all over the world shooting dragon targets to honour his father and help the less fortunate. The Challenge: Draw a dragon. Shoot the dragon. Post pictures of you shooting the dragon. Donate for cancer patients. The Event: On Friday, the 18th of March 2016, we shall gather in Arco-Vienna. Everybody is strongly encouraged to bring their own dragon target. Regardless if you draw one yourself, print one from the Internet or buy a dragon toy, we shall be shooting dragons. And remember, we know a thing or two about the flying beasts, so prepare for surprises. The Time: 19:00 – 21:00 (after the Friday shooting session). The Shooting: you can shoot as many arrows and as many dragons as you want, but there is a catch. Every arrow will cost you 10 cents. Every cent collected will be donated to the St. Anna Children Hospital in Vienna. 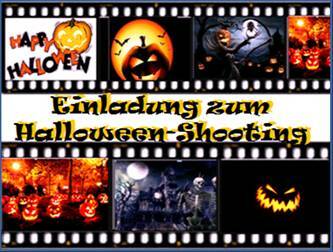 Selected pictures will be uploaded on the Arco-Vienna and on the World Dragon Shooting Day Facebook pages. Since this is a charity event, there will be no evening fee. Donating is encouraged instead. Finger food and refreshments will be provided. The Most Important: Many special thanks to Zoë Woodcock, Karl Günther and Avar Windfighters for bringing this event to our attention. In the last few weeks we have been seeing more and more trigger-happy archery friends; some evenings were even fully booked. 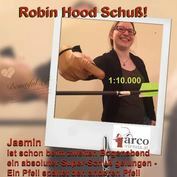 Since we want to give everyone a fair shooting opportunity we have decided to introduce a third archery evening at Arco-Vienna. Don't we all love sequels? Ok, agreed... Most movie sequels are rubbish but repeating a much loved tour concept with a lot of nice people doesn't seem that much of a bad idea! 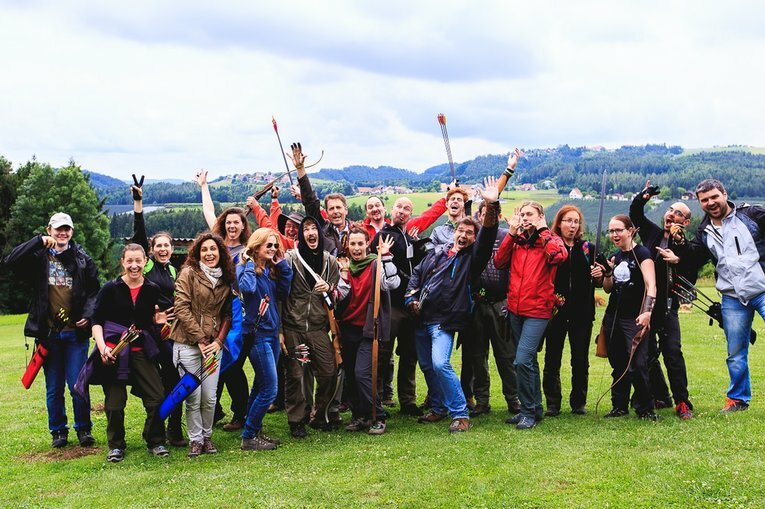 Join us in an intense archery experience, we'll spend three days in Lower Austria, challenging three different parcours and you'll see, we're going to have a couple of fantastic days together! Convinced? Register now, the number of hotel rooms is quite limited! Has this ever happened to you: you position yourself in front of the target, visualize the perfect hit, release the arrow and… shoot a balloon one hand span to the side? You know that you can make a precise shot, but you seem to be missing one elusive component. So have we. But where is a will, there is a way. And our way is simple – find the best archer around and ask for help. Video seminar for the perfect shot! Using a high-speed camera to film your shooting sequence at 300 frames per second, Erich will pinpoint exactly what you should focus on for your next step in archery precision. 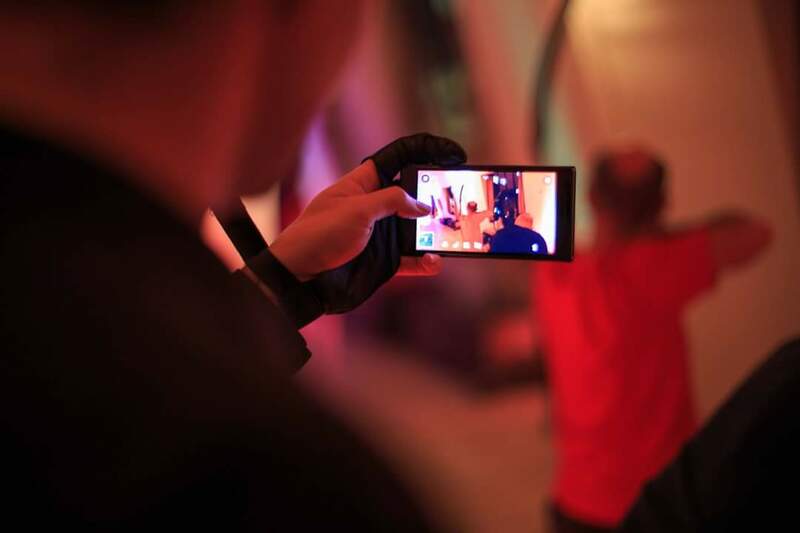 You can take your pictures and videos home and meditate on them. You will also have an opportunity to discuss materials, equipment, physical and mental techniques. Once per year, Arco-Vienna organises, in addition to the normal indoor shooting in Vienna, a very special trip for all interested members. We call this the Archery Safari. In three days, we visited three of the most beautiful 3D-parcours in Austria and had a wonderful time. 3D-archery out in the forest is absolutely fantastic. But don't take us on our word, see the video we made for you! We have packed our best moments in these exciting 6 minutes. The archery parcours of Red Cloud in the Rottenmann Valley, the famous "Robin Hood Land" on the Planneralm and the singular Allerheiligen in the area of Semmering were simply breathtaking. And very, very tiring. We are looking forward to your comments and feedback on Facebook and Google+, where you can always find more photos and information about Arco-Vienna. 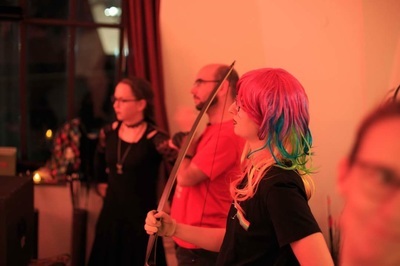 For the first time in our (modest) shooting history, we organised an introduction to 3D archery to all our new archers. We visited the nearby archery parcours in Irenental (15 km West of Vienna) and experienced how diverse shooting outside can be. It was a marvelous day of walking in the forest and testing our skill against different targets (animal models). Great long shots and many challenges were overcome and made for excellent memories. In the end, we restored our strength in a nearby restaurant. This shot must absolutely be documented! Robin Hood would be so jealous. On the day of her basic training, Jasmin Langer shot her arrow with another arrow. Congratulations, Jasmin, keep up the good work! Andreas has combined his two passions - letting arrows fly and capturing them on video. An exciting and amusing short video combines fantastic scenery and 3D parcours, seasoned with comic elements. A real adventure! We had a great Christmas party with presents and balloons on a huge (paper cutout) Christmas tree. After many exciting games, such as Pop-Rudolph's-Nose and a Christmas duel, we moved to the highlight - archers were supposed to shoot themselves a present from the Christmas tree. The good feeling was palpable and the laughter was roaring! 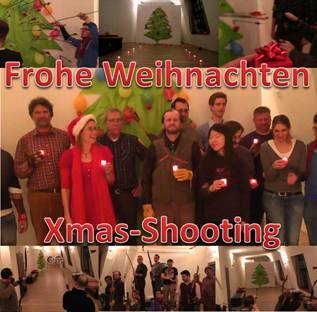 We from Arco Vienna wish all our archer friends and friendly archers a very merry Christmas and a happy new year! See you next year! We start the post-holiday practice on Monday, 05 January 2015. A simple challenge. We hang a balloon on the target face. Then we hang an Ethafoam plate 2 metres in front of the target. The plate sports a 25 cm hole. 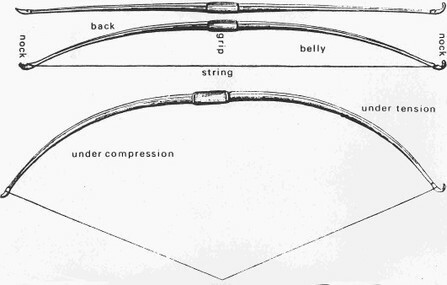 The task is to hit the balloon through the whole, while the plate is swinging left and right. And of course, do it before your shooting buddy robs you of the popping glory! Watch us do it here. We are now on Google Maps and you can find us even easier! 12 November 2014: Level up! Our team is improving! Last Saturday, Claudio successfully completed a Level 1 Trainer course. 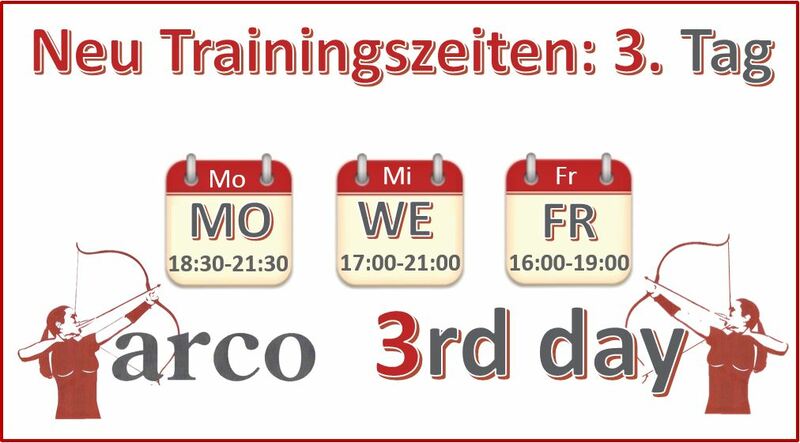 Now we have three trainers in Arco-Vienna, which continuously improve the quality and innovation of your shooting experience. 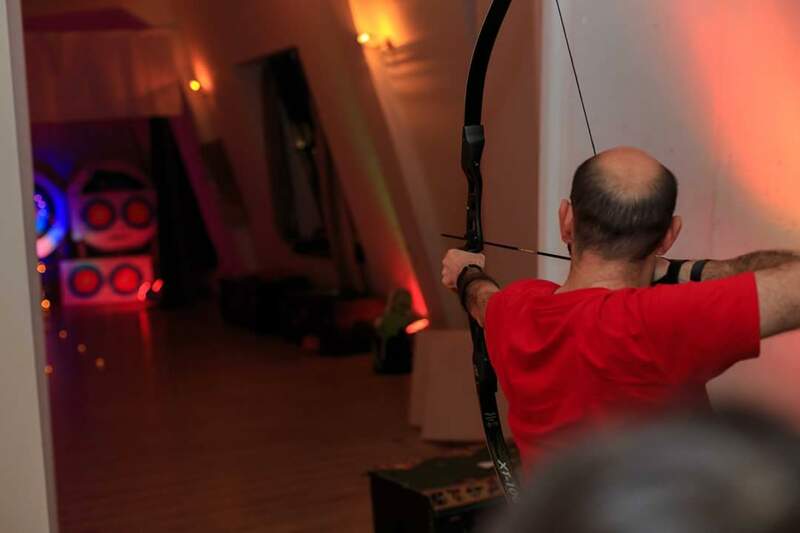 In October 2014, Konstantin completed a B-Level Judge course, which means that now our archers can get their world-record-shattering shots properly documented. Next Thursday, it will be spooky in Arco-Vienna...! 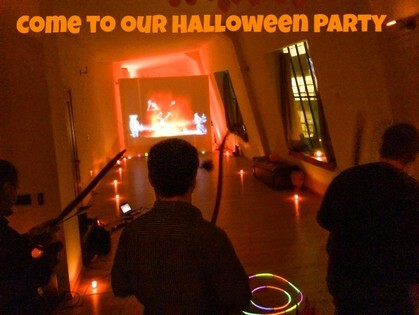 We will pre-celebrate Hallowe'en with candle light and a very special archery cinema experience. Ghosts and undead will flicker on the screen, pumpkins and bats will try to evade your arrows. We are looking forward to finally shoot some proper monsters, with a cheerful mood and a spooky moosic. Afterwards, we will praise the best shots with some food and drinks. You are encouraged to wear black. RSVP, so that we can prepare enough treats. 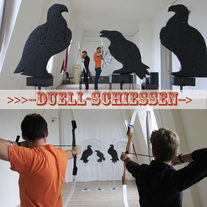 Our new video about the "Archery Duel" game is now online. We are continuously inventing new archery games and this one is as simple as it is exciting. Two archers with 3 arrows each face 3 foam crows. The one who manages to shoot two birds down faster than the opponent, wins. You need to nock quickly, shoot quickly and also hit accurately. It is all kinds of fun! A true challenge and a welcome variation from the slow concentrated targeting. Reminder: The TeamUp calender is discontinued. All bookings should happen through the new system. Impromptu Parcours visit: On Saturday, 04 Oct 2014, members of Arco Vienna will visit the 3D Parcours in Irenental, 15 km to the West of Vienna. Please let Konstantin know if you are coming, so that equipment and transport can be arranged. More details via email, after expressed interest. Parcours reports in English: The reports of Robert Ertl's experiences on various 3D parcours have been translated in English. Happy reading! From the 1st of October, we will be leaving the TeamUp calender and moving to a new booking system. The system was designed by Robert Ertl and successfully beta-tested by Edda Pietsch, Elmar Stahr and Petra Peirce. 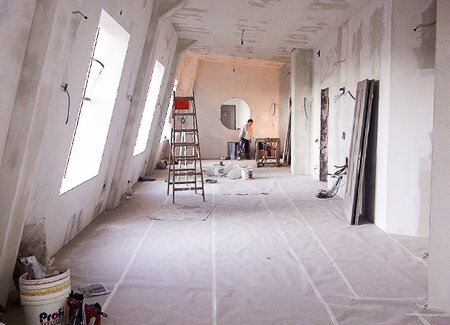 Existing Arco Vienna members should watch this video first and can then create an account. New archers in our ranks are kindly asked to fill out this booking form. See you in Arco Vienna! 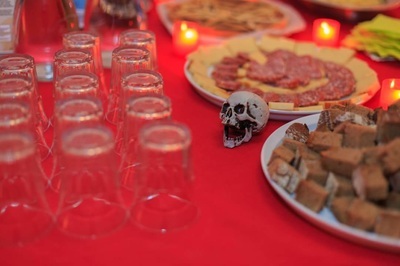 We were also very happy that almost all members were present during our news-and-presentation session, and during our plunder-the-smörgåsbord session too. We were pleasantly surprised to see how much you liked our archery cinema. The enthusiasm and discipline, with which the hunters shot and took turns was exemplary. We have new website content! Robert Ertl has made detailed descriptions of several 3D parcours in the vicinity of Vienna. Check them out here. They are still in German only, but we are working on translating them in English as well. 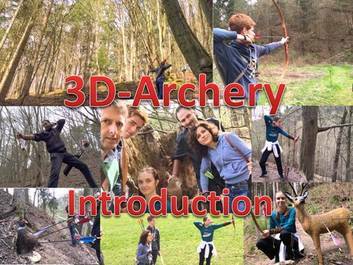 On Thursday, 11th September 2014, we are going to have the first archery cinema of the winter semester. We will choose the film together and will launch into 20 minutes of big-screen excitement. Since several days you can also find us on Facebook. We will share photos and ideas with you and eagerly await your likes. First ever ArcheryCinema - with real shooting! If you want to experience a real Bow-Safari in the middle of the city, without getting drenched by rains or scorched by the sun, we are just the place to visit. 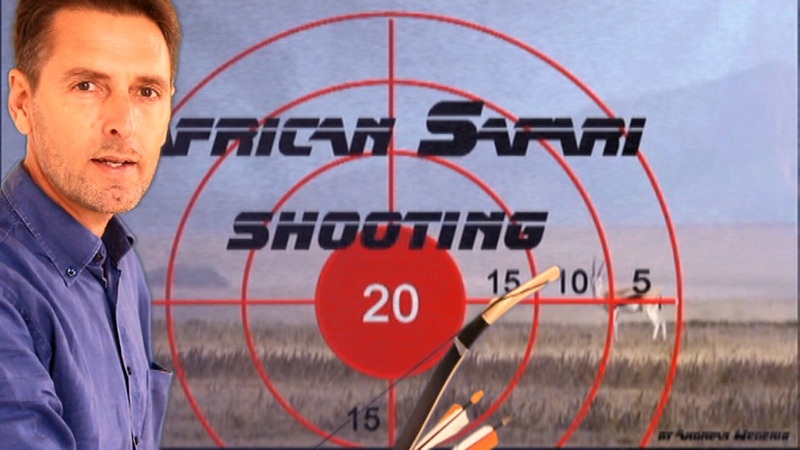 You can shoot at lions, hyenas, crocodiles and other beasts of the Savannah, as they appear in their natural habitats. We have created the first and only shooting cinema, specifically for archers. Our big 4-by-3 meters ethafoam white "screen" allows a great cinematic experience and safe shooting. 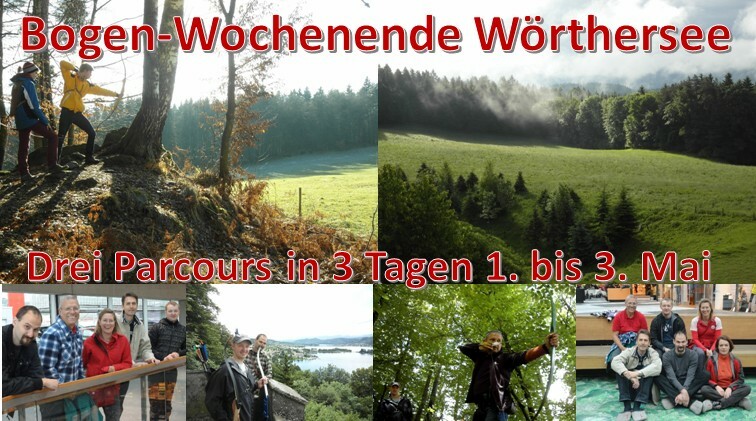 We have organised our second annual archery weekend at the beautiful lake Wörthersee. Charinthia: Velden, Pörtschach and Krumpedorf. We spent all the day out in the forest and all the evenings with dining and story telling.